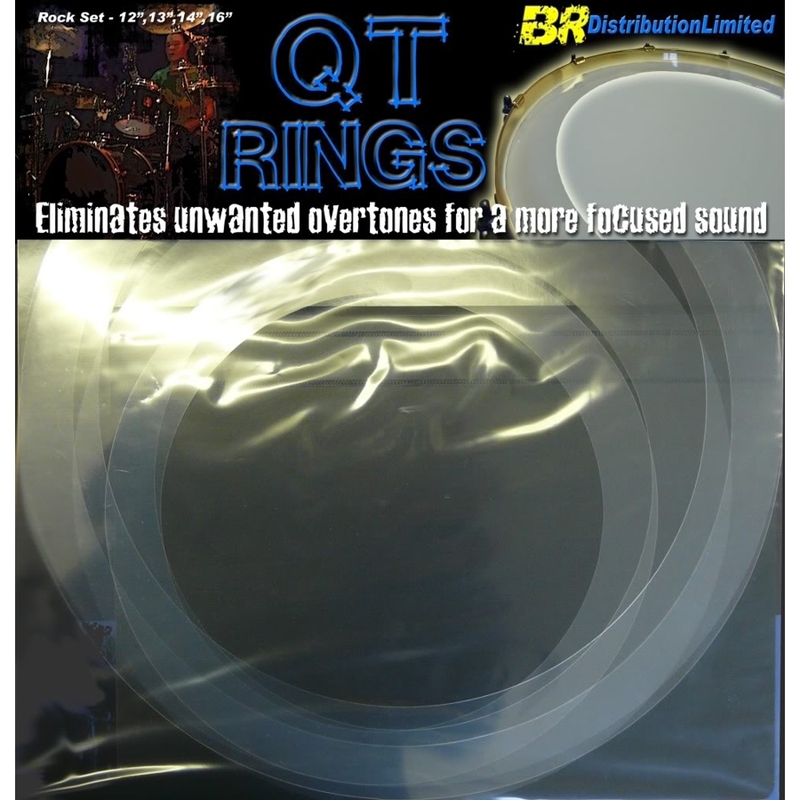 QT Rings eliminate unwanted overtones allowing drummers to achieve a balanced and controlled sound from their drums. Using drum head technology, QT Rings have been specifically engineered to dampen unwanted frequencies which can often mask the true sound of a drum and create problems in both live performance and in the studio. QT Rings are an affordable, effective way of eliminating those unwanted sounds and bringing back the true sound of a drum.